There has been a steady increase in investments Singapore has made around the world over the last few years. For example, while the figure in 2011 was $9 billion, by 2017 that had reached $19 billion. For Singaporeans wishing to spread their wings in the legal field, the process is about to get a lot easier. Thanks to a collaboration between the Law Society of Singapore, International Enterprise Singapore and the Ministry of Law, a program was just launched at the beginning of this month. 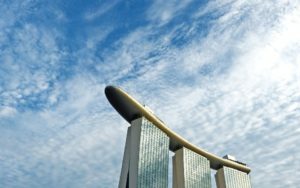 The Lawyers Go Global program is meant to give lawyers a boost in expanding their network outside of Singapore, providing trips, training and branding. In addition, it is hoped that this will beef up Singapore’s status as a global legal hub. As Indranee Rajah, Senior Minister of State for Law and Finance noted, this is helping lawyers to expand the market and giving lawyers greater options of additional places to offer their services, again impacting the overall Singaporean global investment industry.